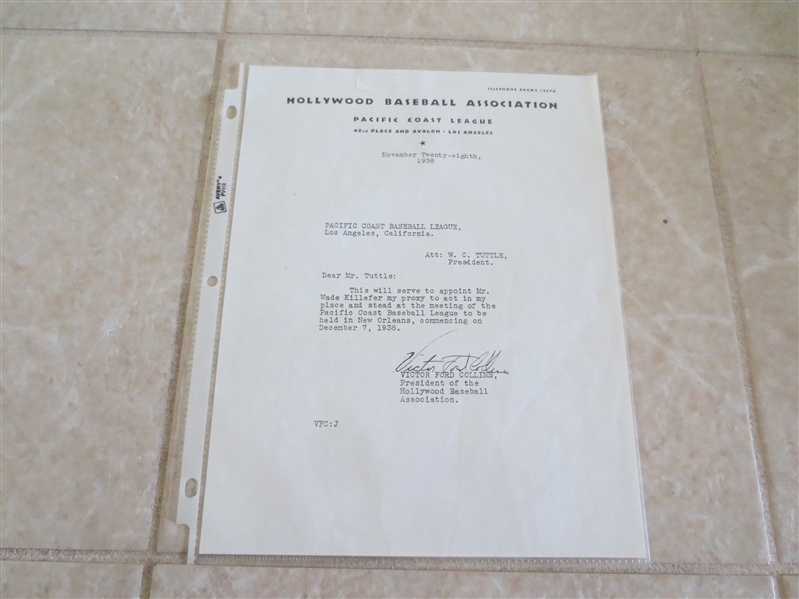 What we have here is a rare signed letter on Hollywood Stars PCL stationary dated November 28, 1938 (the Stars first year back in Hollywood after a two year absence. The letter is signed by Victor Ford Collins, the President of the Stars. This rare stationary is from the Stars only year at Wrigley Field in Los Angeles.